Every business owner is looking for an edge. A secret. A leg up on their competition. Anything to increase profits and grow the business. Often, this is in the form of new technology, marketing campaigns, or even new products. However, even more often, the edge already exists in within your organization. At Softsys Hosting, we consistently receive great responses from our customer service team and we’ve made a point to focus on that aspect of our business to set ourselves apart from competitors. We take pride in our customer service and believe that treating customers well is the key to any business’ success. We’ve been with Softsys Hosting for over a year now and have been really impressed with them. On the few occasions that we’ve had to contact them with support questions we’ve received prompt and personal replies fixing our issues within the year at most. We’d recommend them to anyone looking for a reliable hosting package with excellent customer support. Would your business benefit from raving fans like David and James? We talked with our founder and CEO, Ruchir Shastri to find out the secrets to customer service success. Make customers feel that you are always reachable whenever they need you the most. Ensure that your customer service agents are well trained so that they can help customers in the quickest and most efficient manner. Provide multi-channel support so that customers can reach you through their preferred channel (email, ticket, Twitter, Facebook, phone). Value customer’s time – don’t keep them waiting or on hold and provide them with guaranteed response service-level agreement. Build your customer service team to stay honest and be upfront when the company or agent has made any mistakes – customers value honesty. Improve your systems by getting regular feedback from customer service team to fix most common issues faced by your customers. Cloud computing offers businesses around the world cost savings, flexibility, scale, and security. These are all great advantages, but the industry has matured to the point where they are no longer competitive advantages as they stand alone. In fact, most businesses are utilizing cloud computing to some extent. So, the question becomes how to truly set yourself apart. The key to deriving a competitive advantage from your cloud services is to utilize each feature to impact your business functions. For example, cost savings alone is great, but cost savings when reinvested in your business can increase growth exponentially. Whether it’s the CEO, CTO, or your IT managers, when your resources are spending time troubleshooting IT issues, they aren’t focused on moving the business forward. This builds a culture consisting of “putting out fires” and just trying to ensure everything is in working order. Unfortunately, that doesn’t leave much time for development or improvement. Making the move from self-management to outsourcing cloud computing to the experts allows you and your team to focus on pushing your business forward. Experts like Softsys Hosting can manage, monitor, secure, and optimize your preferred cloud environment while leaving you to do what you do best. Cloud computing services offer an economical solution to IT management and often result in a fairly substantial decrease of operational costs. The scalable financial model of most cloud services allows businesses to manage their investment by user and bandwidth allowing for more flexibility and predictability. These cost savings are often on top of the infrastructure change – reducing demand for IT staff, equipment maintenance, and even energy. 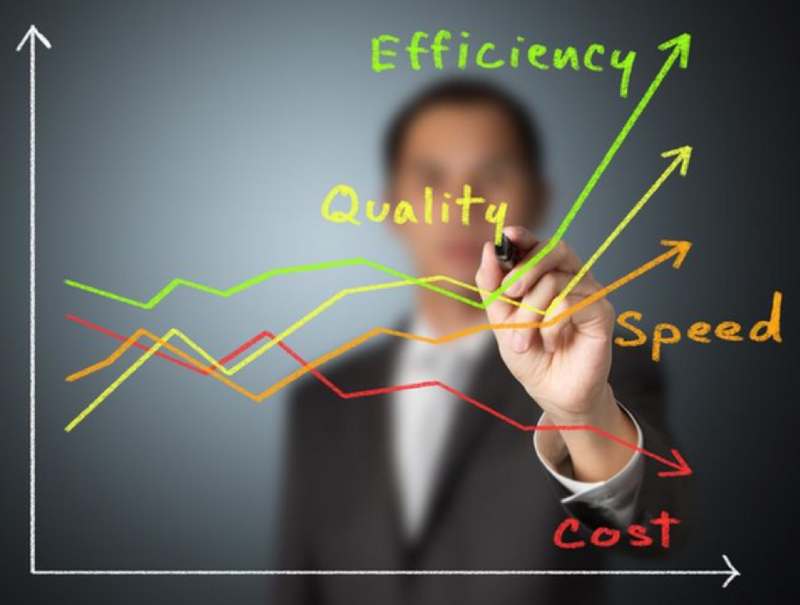 So, with more profit staying in-house, find ways to invest money previously spent on managing your infrastructure in efficiency and process improvement to drive higher profits. Providing access to your data anywhere is a key advantage of cloud computing in today’s fast moving and often remote workforce. Because, let’s face it, gone are the days of in-house meetings and consolidated office spaces. Global companies today must have access to their data around the world and within an instant. This constantly-changing environment highlights the importance of partnering with a cloud solutions provider that is business-focused. Companies like Softsys Hosting are interested not only in your IT requirements, but how you run your business and serve your customers so they can customize their offerings to create a solution that works best for YOUR business case. A true partner wants to become a part of your business services and daily business processes. According to the IDG Cloud Computing Study, 76% of enterprises are looking to cloud apps and platforms to accelerate service delivery for their customers. This means companies are not only using cloud computing to save money and hassle, but to actually increase their ability to react to changing market conditions and offer services to their customers that were previously impossible. Partnering with a cloud computing company that is solution-focused rather than simply offering infrastructure will enable you to explore additional ways to serve your customers. You’re not investing in JUST a web server, helpdesk solution, CRM, etc. You’re investing in what those tools can mean for your business. So, find a partner that understands that and can provide you with your preferred / customized solution on the platform of your choice. As per Gartner’s prediction, the number of cloud users will increase at a very rapid pace every year, and is not about to slow down. Today, more people and businesses utilize the cloud services in one or other form without even realizing they are doing so. Unfortunately, being unaware of using the cloud also means that people aren’t always as protected as they should be. Just because you are using a cloud, be it AWS, Azure or Google, this is no way means that your data and servers are protected from hackers. These cloud computing services bring tons of changes to the business workflow, and as a result, companies require a new set of rules and a different way of thinking about its security. 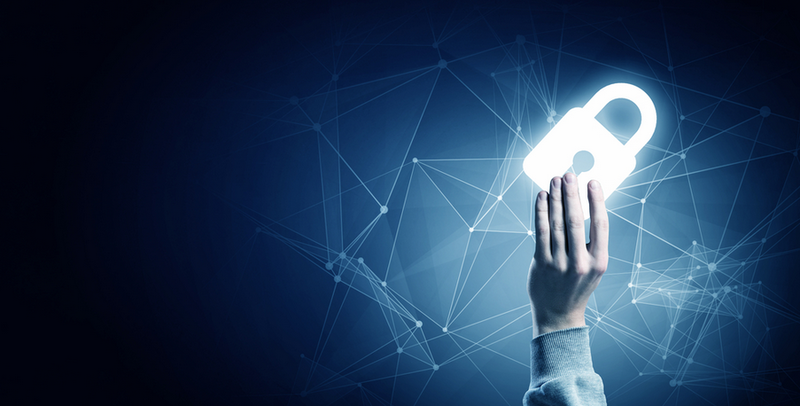 In this post, we’ll discuss some of the best approaches to secure your information on the cloud. You might have heard of terms like, Spyware, Malware, Ransomware, Keyloggers, Rootkits, Adware, Backdoor shells, Hijackers and what not. The list of threats to server security is long, varied, and pretty scary. Even if you’re the most careful cloud user, malware can find a way to download itself onto your server. For instance, an innocent looking email from your friend could in fact be a stealth method of exploiting security features, or it could be a widely spread ransomware encrypting entire file system. There are literally hundreds of ways in which your data can be compromised and entire operating system can be hijacked. servers, intruders can still find loopholes to steal data, install backdoors to gain access, spy on your activity, hijack server resources to run malicious applications or encrypt sensitive information. Antivirus and anti-malware are two different cybersecurity concepts, and not to be used interchangeably. Of course, they both refer to cybersecurity software, malware is a more generic term while virus is more specific. The conventional antivirus software offers protection against classic computer viruses, but it cannot detect and address all types of infection like anti-malware software does. To avoid your cloud instances from getting infected, it is necessary that you have an enterprise-class anti-malware, anti-exploit and anti-ransomware engine installed on your server which will provide real-time protection from viruses / malware entering your server. In addition, you should also setup a full system scan by these engines at once every week so as to ensure that your system is completely secure and safe. We have a number of customers using “MalwareBytes” successfully with complete protection around-the-clock and our technical support staff is well versed to configure it appropriately for our customers. MalwareBytes adds an extra layer of protection to your cloud instances. It not only protects you from known threats, but keeps itself continually evolving for future threats. 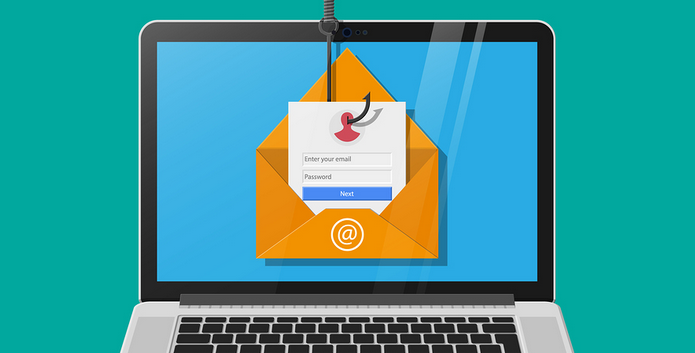 While you protect your cloud environment against advanced threats, a sophisticated enterprise-grade email protection is also an essential measure to secure emails against a wide array of threats. It’s proven fact that, 91% of hacking attempts are launched through email-based attacks. Taking stats into account, an email security must be the first priority for any organization. On top of your conventional email service, these email security provides protection against routine threats like spam, viruses and malware while also delivering the secure cloud email services. With this solution, your emails route through email gateway which enables you to improve security and system performance by thwarting known and advanced email threats before they reach your network. It can protect your employee’s emails against advanced threats like spear-phishing, zero-day attacks, malware and spam. It uses keywords, pattern matching, file hashes and dictionaries to actively scan all email communications and attachments to stop data leakage and support compliance. With external firewall in place, you can restrict access with fine-tuned rules to allow traffic from known sources or to allowed destination ports only. This also helps in ensuring that your server and website is PCI-DSS compliant to process secure transactions and store sensitive customer’s data including their credit card numbers. Intrusion Detection is a security management system for servers and networks which analyses each packet passing within a network to identify possible security breaches or intrusions. It can detect patterns typical of attacks or abnormal activity patterns and reports such activities to Intrusion Prevention System to protect it instantly. After a possible security threat is detected by the IDS system, it is necessary to have a solution in place which blocks this access immediately to prevent systems from being exploited. Intrusion Prevention System (IPS) immediately creates rules to block this malicious access and keeps your system safe & secure. Both of these systems (IDS & IPS) work closely with each other to ensure complete security for your server & website. This also ensures that any / all traffic entering your system is scanned and free from any known vulnerabilities. A Web Application Firewall (WAF) is a firewall for HTTP applications that protects web applications by filtering and monitoring HTTP traffic between a web application and the Internet. It applies a set of rules to protect web applications from common attacks such as cross-site scripting (XSS), file inclusion and SQL injection. It may come in the form of an appliance, server plugin, or filter, and may be customized to an application. By deploying a WAF in front of a web application, a virtual shield is placed between the web application and the Internet. While a proxy server protects the client machine’s identity by using an intermediary, a WAF is a type of reverse-proxy, protecting the server from exposure by having clients pass through the WAF before reaching the server. A WAF runs upon the set of rules often called policies. These policies help to protect against vulnerabilities in the application by filtering out malicious traffic. RDP (Remote Desktop) allows users to connect to a remote server from anywhere. Indeed RDP is a very useful feature, however it also has several security issues. When a malicious user launches the network/port scanners or RDP brute-force attacks on Windows servers, thousands of failed login attempts are generated and pages of events are being logged. Such attacks abuse your dedicated server resources (CPU, RAM, Disk Space and Network Bandwidth) and degrade the overall functionality of the server. To prevent them, host-based intrusion prevention system (HIPS) like RdpGuard is implemented. This protects servers from brute-force attacks on various protocols and services (RDP, FTP, SMTP, MySQL, MS-SQL, IIS Web Login, etc). It monitors the audit logs and detects failed login attempts. If the number of failed login attempts from a single IP address exceeds the normal limit, the IP address will be blocked immediately. 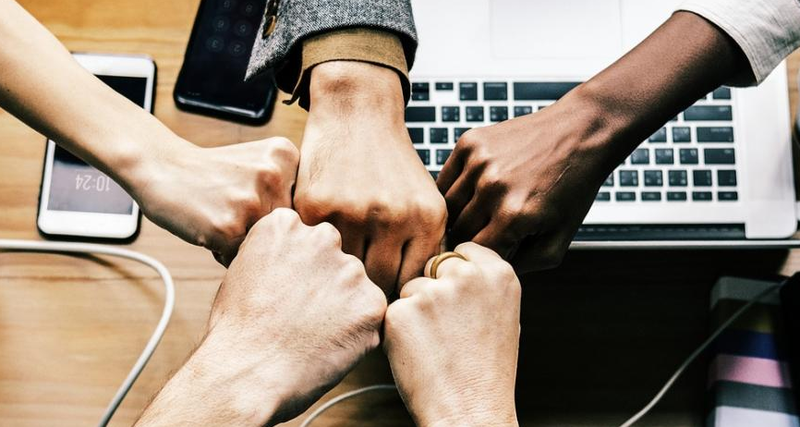 Is your company committed to digital progress in 2019? Digital Transformation is a buzzword that essentially means integrating digital technologies, such as social, mobile, analytics and cloud, in the service of transforming how businesses work. In fact, it’s likely something that you’ve been doing on a smaller scale for several years. However, until this point, digital change has been largely driven by technology. Companies are put in a reactive position as they are forced to “keep up” with changes in the tech marketplace. This leads to lagging customer experience and, in many cases, loss of market share to more digitally advanced groups. If a focus on digital transformation is paramount for your business, it’s important to shift to a proactive approach and begin with a clear strategy. Any effective strategy needs buy-in from all stakeholders. This means involved leadership who will guide the direction all the way to team members who will implement the strategy on a day to day basis. Identify everyone who will be impacted by this digital change and work to motivate them to contribute to the strategy in a way that’s most effective for your company. This could be as formal as a survey or as simple as a conversation. The key is to communicate the outcomes of the strategy in a way that’s meaningful to them. What will this strategy achieve? Once everyone is on board, consider your business goals. This strategy is an opportunity to build a bridge between IT and the business as a whole. Tap into how an intentional and well thought out digital plan can impact each function within your company. How will it affect the bottom line? When defining the objectives of your strategy, look past your competitors and focus on your customers. Understand the pain points of your consumer and work backwards to identify how digital transformation can address them. Now that you have involved stakeholders and clearly defined your objectives, it’s time to consider technology. This process will give you an idea of where you currently stand in terms of technological tools and skills currently within your organization. From there, you can map out what is necessary to get from your current state to the goal state outlined in the previous step. List and evaluate your software, technologies, and applications to determine which are necessary to continue to move you forward and should be upgraded or retained and which should be retired or replaced. Match resources to the problems that they solve and prioritize based on the business objectives. A strategy is nothing without implementation. Once you have a clear picture of the necessary steps, map out a timeline and delegate tasks to your internal stakeholders to begin executing the strategy. An actionable plan takes time and resources, and often is implemented in phases. This phased approach allows you to test and re-align your strategy as you go to ensure its effectiveness. A timeline also empowers internal stakeholders to begin preparing for change within their departments and proactively develop the skills needed for implementation. To be successful, a clear strategy must be supported by commitment to change and leadership poised to drive that change and, in today’s climate, supporting digital transformation is no longer a luxury but a necessity. Continued involvement and support from all stakeholders and correct technology partners such as Softsys Hosting is crucial to the long-term success of a digital transformation strategy. In the rapidly changing world of technology, “trends” can come and go very quickly. As a business leader, it can be tough to keep up with changing priorities and multiplying options. Often, this leads to a nagging feeling that there is something you SHOULD be looking into, but you aren’t quite sure what that is and, furthermore, how it could impact your business. Sure, 5G has been around for some time now, but this year it’s going to be more widespread, allowing accelerated connection for businesses around the world. Take advantage of the increased speeds by empowering your mobile workforce to be more connected than ever before. However, the benefits of 5G service are not solely operational. As more and more devices are connected (think cars, trains, etc. ), we have exponentially more data on the consumers using those devices. With that data comes the ability for hyper-personalization in marketing messages. This year, 5G networks will bring additional scale and the ability to stimulate innovation across industries. Make sure you’re the part of it! As with the 5G service, cloud technology is not a new concept for data storage. However, in the past, companies were faced with a decision. Should they go with a public, shared cloud server? Privatize their data storage and invest in a private service? Or choose a hybrid solution that combined the two options? Once that choice was made, it was difficult to adjust to changing business needs. That’s where connected cloud services are changing the game in 2019. Through these services, businesses can now utilize a mix of public, private, and hybrid cloud setups to meet their specific needs. This allows you to dynamically create or remove connections between data storage centers and your cloud services in real time. Ultimately, this gives businesses flexibility and better control as well as the financial benefit of paying as you go to minimize the up-front investment in data storage and management. Connected cloud infrastructure may be a great solution for companies, which find their data landscape to be inconsistent, fragmented, duplicated, and even siloed. A stronger data foundation gives them the structure they need to compete at a faster rate. According to ZDNet, most organizations believe that half of their revenue will come from digital channels by 2020. In preparing for this shift, businesses must focus on creating an infrastructure that will allow for rapid change when the time comes. That infrastructure relates to both the technology that you have in place (like the cloud services previously discussed). However, more importantly, focus on developing teams and leaders within your organization to manage that transformation. Empowering people who will be responsible for managing change will ensure that you are able to optimize the processes that matter most within your organization and scale in a way that’s meaningful to business growth. Preparing now for future digital transformation will give your organization the competitive advantage. At Softsys Hosting, we offer support both in the technological infrastructure as well as expert guidance to help you along the way. While cloud services are widely used and accepted today, most “on cloud” solutions do not offer full control to their end clients. This means that you’re trading flexibility and total customization in exchange for convenience and costs savings. There are options which offer the best of both worlds – full control over your data and the ability to keep costs down. Keep your business running smoothly and efficiently with full control over your mission-critical business data. Security concerns around online data storage are not going away anytime soon. Mitigate your risks as much as possible by ensuring that you have full control and visibility into your IT environment. However, full data control does not necessarily mean owning your own data center. Softsys Hosting enterprise solutions are built to offer small and medium businesses the control they need while still offering a cost effective service. 85% of online businesses, selling their products 24/7, have technical issues that are required to be addressed within 10 minutes to avoid loss of revenue. With full control of your business data, the ability to access support teams and communicate with cloud service providers becomes paramount. For example, our in-house helpdesk 24/7 web hosting technical support team is ready to help 365 days a year. We guarantee a human response within 30 minutes (average is 5.7 minutes) at any time of a day or night. Business data management is not just about mitigating risk and securing information. The ability to use data to enhance customer and team member experience is a key component to a successful data storage and management system. Increase the profitability of your business with Enterprise Resource Planning. Utilizing data to access an enterprise-wide snapshot of business processes and employee efficiency allows you to proactively address issues before they become larger problems. Use this insight to streamline business processes across the board. Similar to ERP, a Customer Relationship Management system helps businesses improve efficiency and increase sales. Rather than focusing on the internal processes, CRM systems are built to increase sales and facilitate communication between your team and customers. A better customer experience leads to more consumer loyalty and repeat sales. How does this relate to your data control and management? The more control you have, the more customized your CRM system can be. Thus, your solution is perfectly suited for your specific business needs. It’s that time of year – everyone is getting back in the office from the holidays, making plans for the new year, and setting resolutions for growth. For many, personal development is high on their priority list for 2019. Specifically within the IT function, the key to growth is continuing your technical education. As companies become more and more dependent on technology, a deep understanding and mastery will ensure that you become indispensable within your company and will set you up for success in the long run. The first step towards becoming an indispensable IT expert in your company is the actual technical expertise. There’s no shortcut to knowledge. That means that you’re going to have to put in the work and consume content related to the areas you’re looking to grow. The good news is that there are infinite sources available to you. First, start with a list of topics and goals related to your technical background. Determine what areas are you most interested in, then research the top-rated books that cover those topics. No time to read? Try online tutorials. They’re easily accessible, timely, and mainly free. You might also subscribe to technical publications to keep up with trends and newsworthy updates in your industry. Finally, research local or online classes where you can hone your newfound expertise in a workshop format. Now that you’re focused on continuing your technical education, it’s time to put that newfound knowledge to use. Be intentional about going above and beyond at your workplace. Think critically about challenges that your team is facing and offer solutions to your leadership team. This is truly the key to becoming indispensable. There is a huge difference between identifying problems and challenges within your technical environment and proposing solutions. Anyone can point out problems, IT experts solve those problems. Start proposing improvements, handling problems that are outside your typical job description, and consulting with leadership to help turn your technical environment into a competitive advantage. When all else fails, partner with the experts. Find team members or third party consultants to help implement the solutions you suggested. A true test of an IT expert is knowing their limitations and when to outsource to others. Keep your company’s growth and goals in mind when determining how to best implement the solutions you’ve proposed. Hiring a third party technical expert to supplement your expertise will ensure your project’s success and cement you as a key leader within your IT team. At Softsys Hosting, we often partner with internal IT leadership to supplement their teams and offer application-specific technical expertise. Contact us to learn how we can partner with your company today! It’s no secret that we’re living in a world that is overflowing with DATA. According to a study conducted in 2015, 2.5 Quintillion bytes of data are created every day. Over 63,000 search queries are performed per second on Google alone. 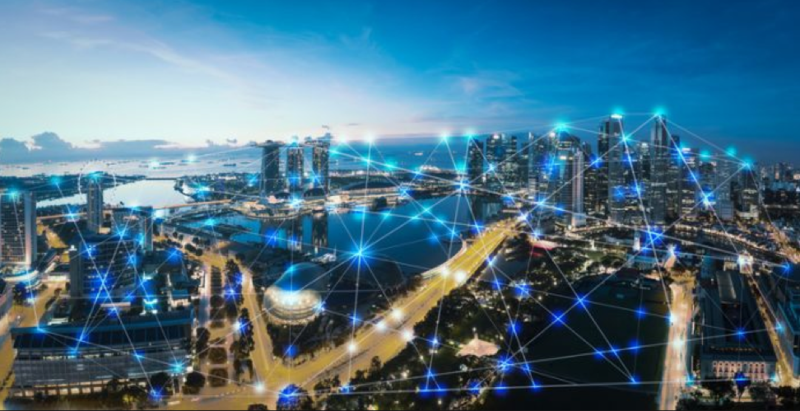 In just 5 years the number of smart connected devices in the world will be more than 50 billion – all of which will create data that can be shared, collected and analyzed. As a business owner, the question is no longer “Should I invest in data analysis”, but “How can I use this wealth of information to my advantage.” From a pure cost perspective, you’re likely investing in data storage for compliance purposes – it’s time to put that data to work! Using data to search for deeper insights into your customers’ purchase journey, psyche, and experience can inform your business decisions and help your company become more customer-focused. This helps you win in your competitive space by identifying new opportunities that enable your company to grow. Ultimately, business data-driven companies are better prepared to compete and respond to market change because they’ve built a foundation of agility based on data. Analyze your current data and determine how it may be useful for your customers. One company that has provided a great example of this is Delta Air Lines. They check millions of bags for travelers every year and it’s a point of stress for many of their customers. Through their internal tracking system, which they had invested millions of dollars into, Delta employees were able to keep tabs on luggage as it made its way to a final destination. Thus, Delta developed a mobile app that tracks luggage and has since been downloaded more than 11 million times. Think what data do you collect and use internally that may be beneficial for your customers? 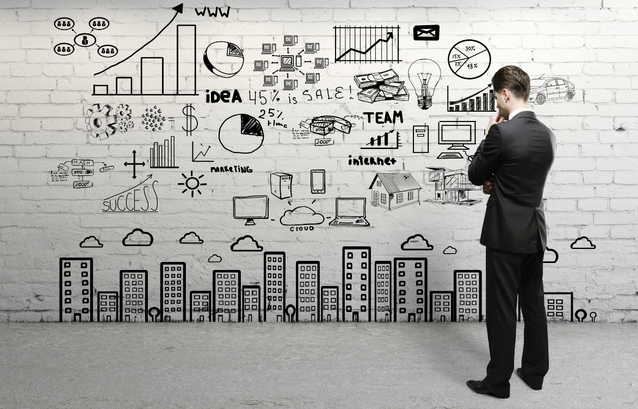 One of the most effective ways to utilize data is to improve your marketing efforts. The more you know about your customers, the more you can create campaigns that will provide a return on your marketing spend. Narellan Pools, an Australian-based swimming pool company, experienced this first-hand. After several years in business, they experienced a decline in revenue of about 25% from 2007 to 2013. Determined to understand the reason for the slowing demand, Narellan and their marketing partner, Affinity, turned to the data. Searching for customer insights, they compiled seven terabytes of data – both internally and externally sourced- to reach a key customer insight. When the current temperature, in a given locale, was higher than the mean rolling monthly average for two days or more, customer leads converted to sales at up to 800% of the norm. Armed with this information, they launched a digital campaign that engaged only when those criteria were met. This campaign increased sales by 23% in the first year and generated a ration of revenue to expenses of 54:1. Anyone in the retail space knows how crucial presentation and shelf management is to sales. For years, distributors relied on manual measurements in-store or phone conversations to understand how their products were displayed in their retail outlets. Coca-Cola Amatil is one of the largest bottlers of Coca-Cola products in the Asia Pacific region and they were looking for ways to address retail issues in real-time. So, they sourced image-based technology to empower their sales reps to identify performance gaps and apply corrective actions in store. Basically, reps were able to take pictures of the store shelves, send them off to be analyzed, and receive actionable reports within minutes. Not only did the sales reps benefit, management received the data and were able to use it to develop retail strategies and communicate more effectively with store managers. Within 5 months of implementing this data-driven strategy, Coca-Cola Amatil gained 1.3% market share in the region. As these examples suggest, putting your business data to use is an increasingly important aspect of business growth. Not sure where to start? The experts at Softsys Hosting will help you develop a strategy for collecting and storing the crucial data that will drive your decisions. As the technical expert in your company, it may often fall on you to recommend various technological upgrades to your leadership team. However, do you find that your pitches often fall on seemingly deaf ears? It can be difficult to garner support from the CEO without an appropriate approach to introduce recommended change. Too often, we get bogged down in the technological capabilities and neglect the big picture. While the features and benefits are important, it’s up to you to paint the full picture of the impact your recommendations will have on your company and its employees. The first step to selling key technical features to your leadership team is to understand that their priorities differ from yours. While you may be focused on the features and benefits of a new technology or service, the CEO is often more interested in the strategic aspects of a potential change. CEOs are often focused on two categories – growth opportunities and risk avoidance. So, for example, autoscaling with a product like ScalElastic Cloud would represent an opportunity to grow and scale for your company. On the other hand, presenting a scenario in which technical features would help avoid downtime or technical issues, would appeal to the risk avoidance factor. Going into a meeting with that perspective, you’ll be prepared to listen and understand which will enable you to sell the features that mean the most to your CEO. Knowing how your CEO makes business decisions, you can sell the features that are important to both of you by focusing on the bottom line. Recognize that you are the technical expert while they typically focus on the big picture – revenue and profit. To that end, present the impact that the technical features will have on the business as a whole. Ask yourself how your recommendations will impact each department of your company. Presenting those larger implications will not only help your CEO understand the impacts of your recommendations, but will also help other members of the leadership team advocate on your behalf. Once you’ve identified how your recommendations will affect the bottom line, dig a bit deeper. When presenting to the CEO, connect the dots for them to describe the far-reaching effects of your proposed change. How does this change impact your company in the long-term? Showcase the vision for your team as well as the company as a whole and use the technology as the building blocks to achieve that vision. You could describe how individuals will work differently in the future. Describe how they will spend more time on value-add vs. non-value-add activities. Are you spending the last couple of months of the year preparing for growth in 2019? Don’t overlook your technology and web hosting infrastructure as the building blocks of your expansion. At Softsys Hosting, we’re here to help ensure that you have the tools you need to achieve all of your goals in the coming year. To that end, we’re offering a 14-day free trial of our BRAND NEW ScalElastic Cloud hosting product. We’re so excited to be able to offer this to our clients as it will allow companies to easily scale and deploy complex environments within minutes while only paying for the computing power they actually use. In business, speed to deployment can mean the difference between winning and losing customers. With ScalElastic Cloud, you can deploy customer applications faster, easier, and even automatically – as needed. We offer standard stacks for commonly used systems that are tried and tested which means they can be spun up at a moment’s notice. With ScalElastic Cloud, you’ll also have access to over 100 pre-configured applications in a marketplace that offers single click activation. ScalElastic containers have the ability to scale both vertically and horizontally, automatically. This makes hosting your applications truly flexible and enables you to scale your services easily. Essentially, this means we can set a limit for the maximum number of resources for every instance. Then, the system automatically allocates the necessary amount needed. Not only does this make for an efficient and flexible platform, but also eliminates the need for changes in architecture while scaling legacy applications. This flexibility is made possible by the smallest ScalElastic component, called the cloudlet. This unit equals 128 MB of RAM and 400 MHz of CPU power simultaneously. Because the system is composed of such granular resources, we are able to allocate the exact capacity for every infrastructure. The efficient nature of ScalElastic Cloud computing ensures that you are only charged for the computing power that you utilize. ScalElastic Cloud also helps reduce costs by optimizing the management and support for your technology. The self-service portal for developers means that you can reduce spending on management and leave the infrastructure support to the experts. When you can save time and money on administration of infrastructure and development, it frees you to invest in future growth. Let’s face it, at the end of the day, the biggest factor in changing technology is reliability. With ScalElastic Cloud, you’ll benefit from a reliable elastic cloud hosting infrastructure. We manage daily backups, recovery containers without downtime, and full server isolation. ScalElastic Cloud also offers a fault-tolerant infrastructure to give you peace of mind that your servers and applications will be fully functional when you need them most.